The new year is always a great time for reflection on the past year, but also a time to look forward to the next year and to imagine what’s to come. For programmers, this is a good time to think about new skills you want to learn or interesting projects you want to take part in. Here at Indorse, we recently had a group discussion about what’s to come in 2019, and the team came up with some interesting ideas. 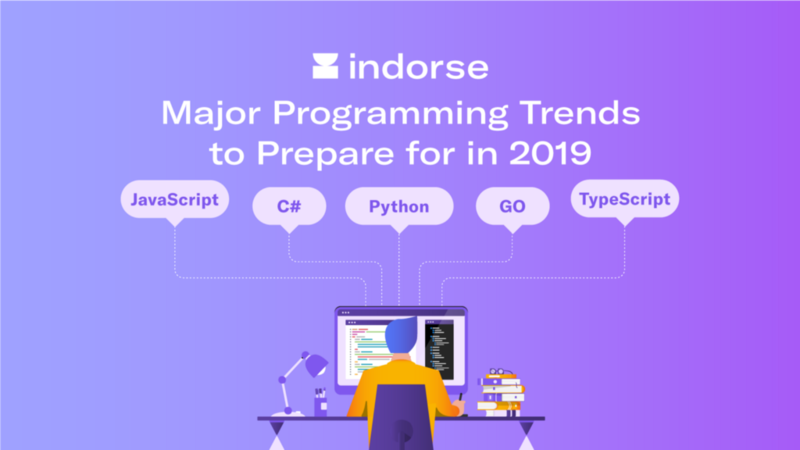 Below we present some of the major programming trends to prepare for to help you stay at the top of your game in 2019 — but not before taking a look back at the key programming themes of 2018. 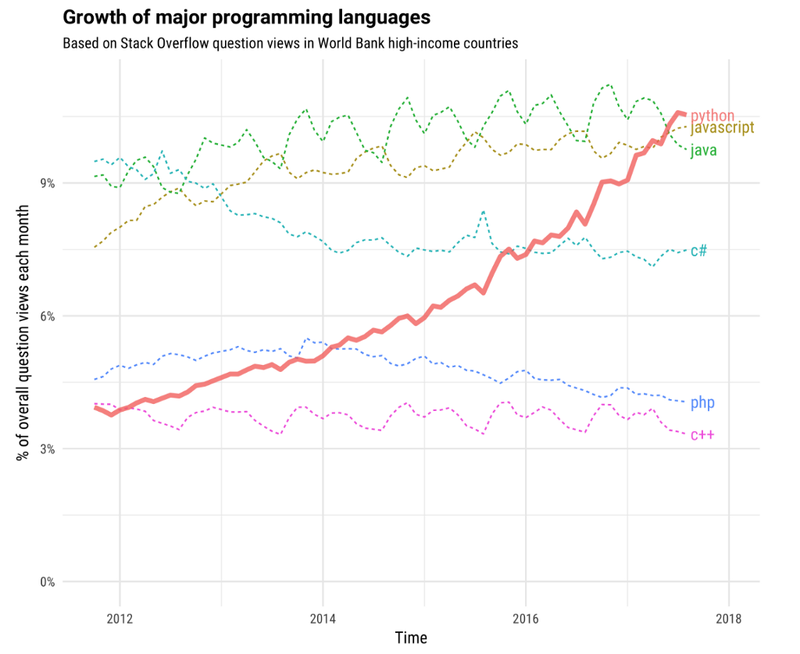 Stack Overflow and GitHub both have extensive datasets on the most-used or most popular programming languages. But what about other languages? 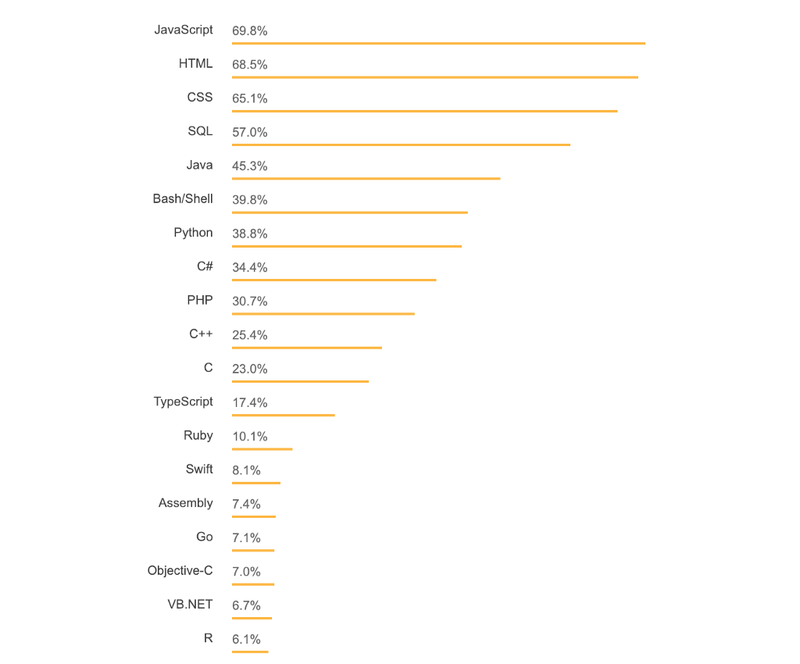 Python and C++ both moved up the list, while C moved down a bit and Ruby plummeted from 5th to 10th. 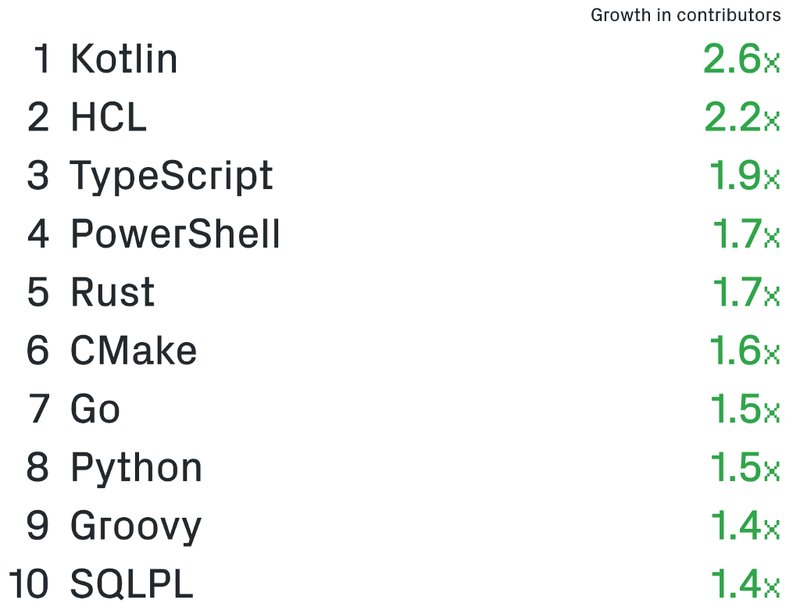 TypeScript is another big mover, going from 10th to 7th in the last year. 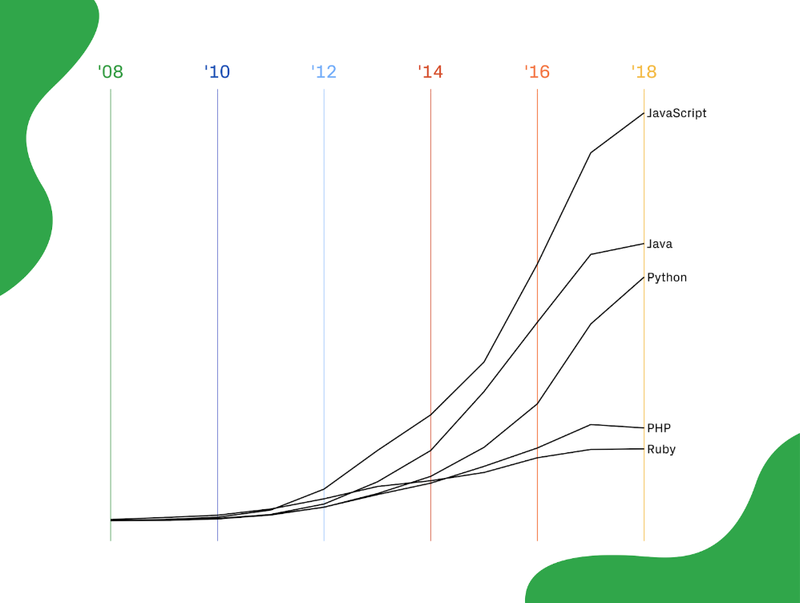 The chart below illustrates the meteoric rise of Python. Surely the growing interest in artificial intelligence (AI) is fueling Python’s growth. And engineers seem to love programming with it: According to a survey, Python was the favorite language of IEEE members in 2018. 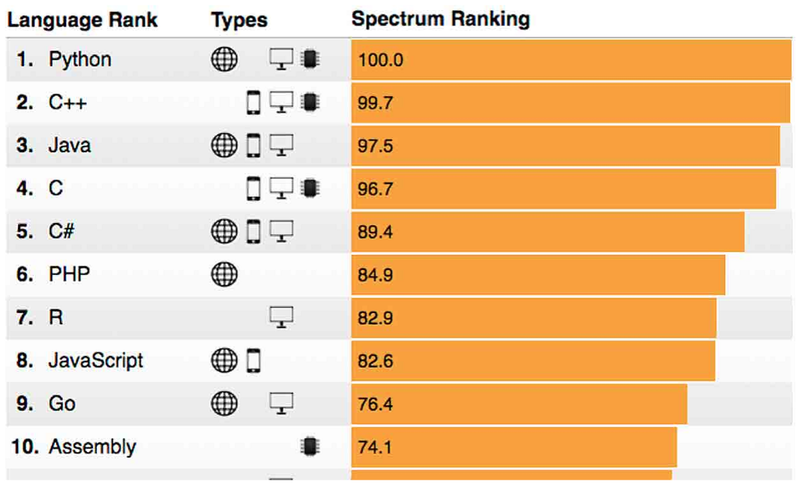 Python also topped the IEEE survey in 2017, just barely beating out C. It appears to be replacing R for a lot of uses (R is a specialized language for dealing with statistics and big data — critical for AI and machine learning applications). So if you’re thinking about getting into AI and machine learning — or if you’re already doing this kind of work in R — Python is a must-learn language for you in 2019. Want to Test Your Programming Skills? Before, after and/or during your programming practices, having an objective idea of where you stand is important. 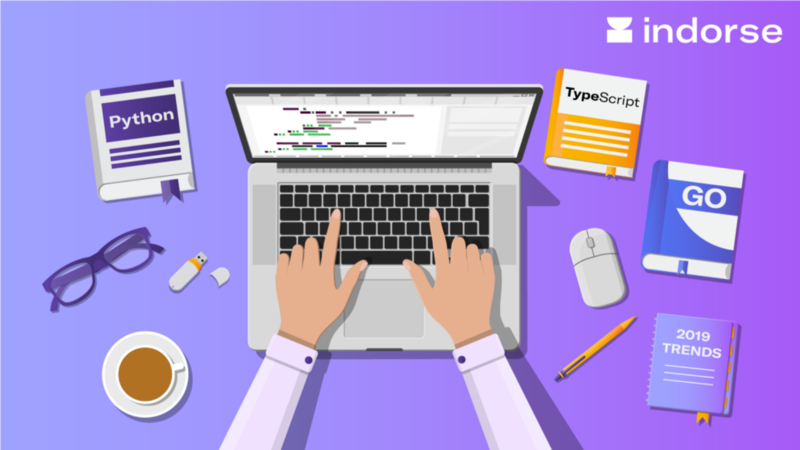 For a fair and simple way to evaluate your programming skills, share your code on the Indorse platform and let our experts developers review your code and asses your skills! Considering using Indorse to pre-screen your tech candidates? We got you covered with Naqib! 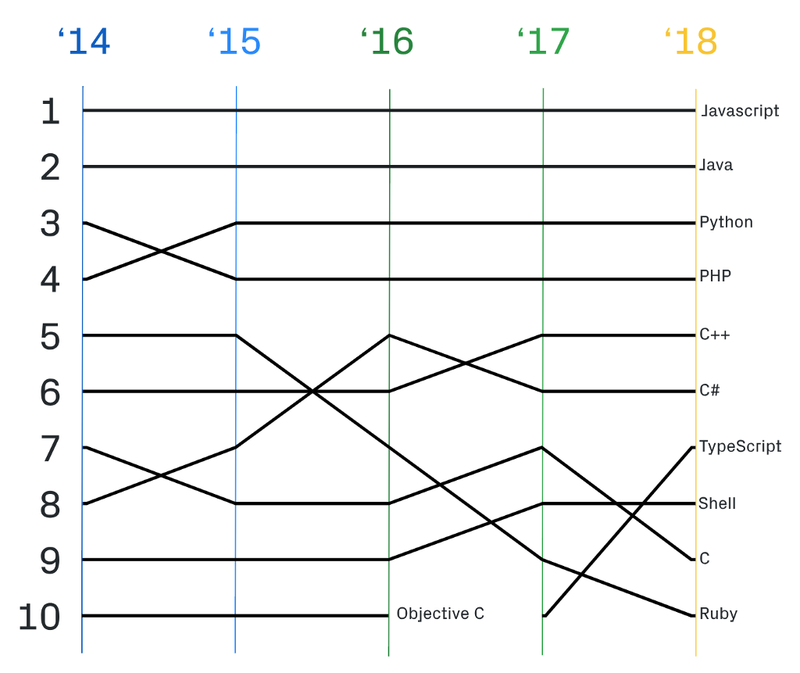 Major Programming Trends to Prepare for in 2019 was originally published in Hacker Noon on Medium, where people are continuing the conversation by highlighting and responding to this story.